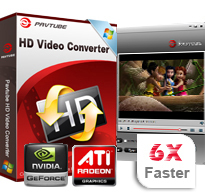 Pavtube HD Video Converter - Best HD Converter convert HD videos. Convert 1080P/720P HD videos like MXF, MTS, TiVo, MOV, MKV...to any file types. Encode Canon footage, Sony shootings and more camera videos to fit different uses. Pavtube HD Video Converter allows you to convert/transcode/encode HD video files from HD camcorders(JVC, Sony, Panasonic, and Cannon), TiVo DVRs and DVs to other A/V formats including MKV, MP4, VOB,MPG, MOV, AVI, DV, TS, FLV, 3GP, 3G2,MP3, FLAC, MKA, OGG, WAV, AC3, M4A and more, which makes it possible for you to enjoy the HD videos on Android smartphones, Apple TV, PS3, Xbox, Xbox360, WD TV player, Video-DVD player, PSP, iPod, iPad, iPhone, iPhone 3G, iPhone 4, BlackBerry,Nokia N8, Nokia E7, Nokia C7, Samsung i9000 and edit HD contents in Adobe Premiere, Sony Vegas, Cyberlink Power Director, Avid Media Composer, Magix Movie Edit Pro, Windows Movie Maker, Pinnacle Studio, etc. Pavtube HD Video Converter takes full advantage of NVIDIA's CUDA technology and ATI Stream (AMD APP) technology to largely accelerate conversion speed. The GPU acceleration saves users lots of time when using H.264 codec to do format conversion. NOTE: To use GPU computing feature, a CUDA-compatible NVIDIA graphics card or an AMD graphics card with AMD APP technology must be installed. The CUDA and AMD APP acceleration both work only when creating H.264 encoded video files. Trim function allows you to get a specific length of video accurately; while crop can help you cut off the black edges and unwanted video area easily, so that you can enjoy a wider screen on your portable devices like iPod, iPhone. Check the option "Merge into one file", you can join multiple videos into one bigger file for conversion. Meanwhile, if you like, you can also replace the original audio with other music or sounds you want. The program provides you the snapshot function, which allows you to capture the thumbnails as your wallpapers or editing elements for future use. The upgraded Profile Manager allows you to arrange the profile list as you like. Hide the unwanted formats profile list and save customized format to Custom group for ease of use. How to convert down Panasonic AJ-HPX3700 HD MXF to MPEG files? How to convert MTS to FLV, F4V and SWF format for uploading to Internet? How to convert Nikon D7000 MOV shootings to AVI/WMV video for editing? - Added optimized 1080p MP4 format to support the 3rd generation Apple TV. - Added customized preset for Sony PS Vita. - Modified user interface language. - Made some minor adjustment to the profiles of Archos 101 Internet Tablet, iPad 3 and Avid DNxHD.